It’s a sad day for art. The world renown 5 Pointz has finally begun demolition, and pictures of the carnage are flooding in. For many of us that grew up in Queens, 5 Pointz was one of the most recognizable works of art. Riding on the 7 train,you’d hold your breath as the tracks precariously turned, and the giant warehouse came into perfect view. It was a mecca for graffiti artists – many of the artists came from all over the world to procure their spot on one of the many walls – to make their mark in this New York City mausoleum. 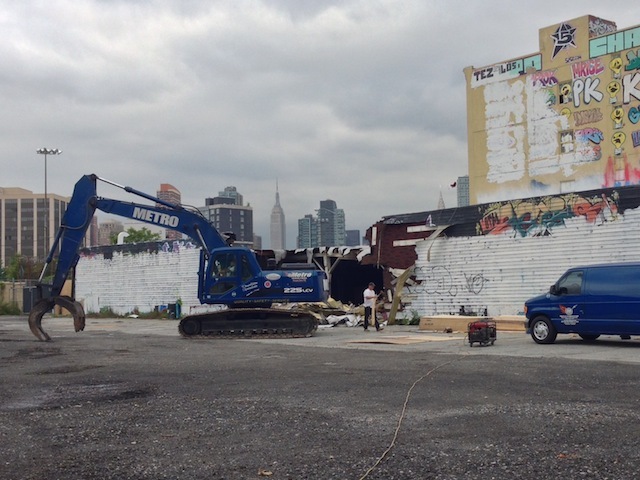 The space that 5 Pointz occupied is now going to be home to luxury, high rise condominiums – are we really surprised? Previous articleAstoria’s About to Get (More) Fashionable! Next articleTwo Days Left of the Astoria Flea!